How long can super-low interest rates last? TORONTO -- Up to one million Canadian borrowers could face problems paying their debts if interest rates rise by a full percentage point including some of the highest rated consumers, a report released Tuesday by TransUnion suggests. The credit reporting agency said that while the majority of Canadians will not be materially impacted in the near term by an interest rate increase, there is a "material subset'' that may be challenged. 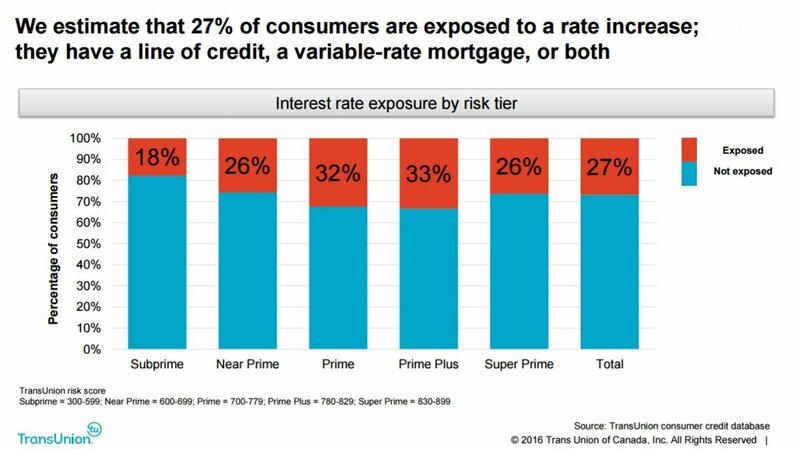 Jason Wang, TransUnion's director of research and industry analysis in Canada, said even those with what are considered "super-prime'' credit scores could struggle because credit scores measure past behaviour. "If there's a rate increase, are you still able to do that in the future? That is the question,'' Wang said. TransUnion estimates approximately seven million Canadian consumers have a variable-rate mortgage or a line of credit with a variable interest rate. Its study found more than 700,000 of those could struggle with the increase in monthly payments related to a quarter-point hike and that rises to up to a million with a one percentage point increase. For $50,000 on a line of credit that requires interest-only payments, an increase of a quarter-point would mean an additional $10.42 a month. A full-point increase would add $41.67 a month. For variable rate mortgages, the payments may depend on the lender. With some lenders, payments will remain the same, but people will pay off less principal as more of the payment goes toward interest. Others will increase payments as interest rates rise. However, Wang said the increase in monthly payment is only part of the equation as some may be able to cope with the increase by cutting back on extras. "But for some other consumers, they may not be able to absorb that because they wouldn't be able to put enough gas in their tank to go to work or they wouldn't be able to put food on the table,'' he said. Consumers have piled on debt in recent years as interest rates have remained near record lows. 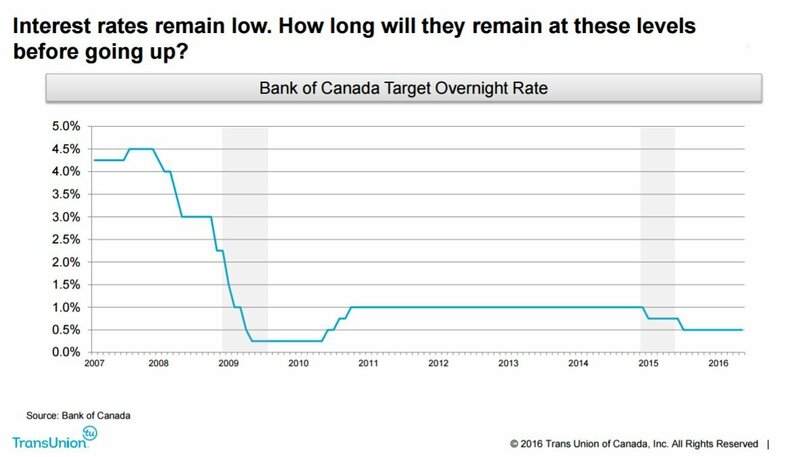 The Bank of Canada's overnight interest rate target has been set at 0.5 per cent since it was cut twice last year. The rate is a key variable for the big banks when setting their prime rates and the rates for borrowing like variable rate mortgages and lines of credit. Economists don't expect the central bank to raise its key interest rate target any time soon, but it remains well below what is considered a normal level. Statistics Canada is expected to release its latest assessment on household debt later this week.